Calling all cat lovers this is the bag for you! Furry details add graphic appeal to this cute crossbody. 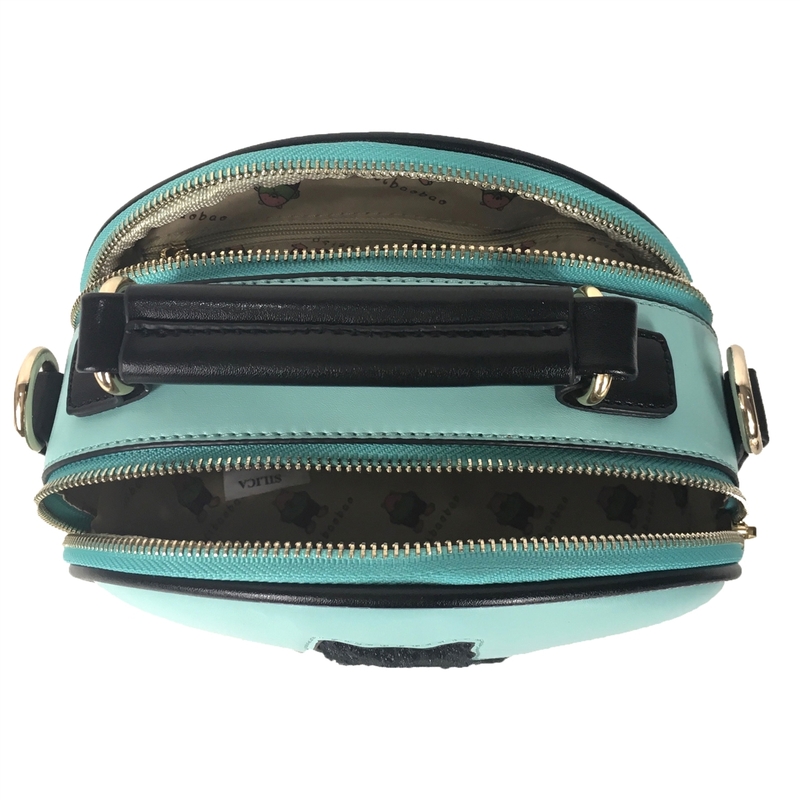 Dome crossbody in faux leather with contrasting trim. 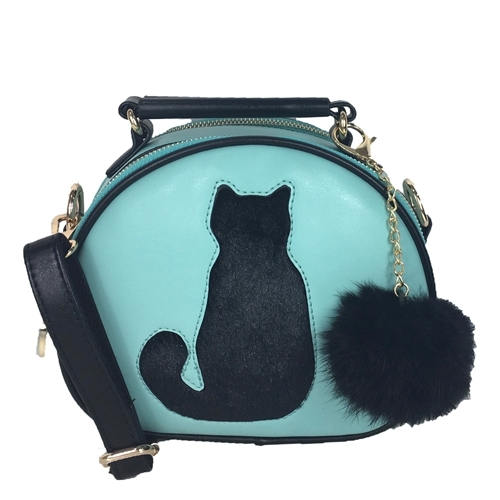 Front features a faux fur cat silhouette. Faux fur pom pom purse charm. Top handle. Removable adjustable crossbody strap, 24" drop. Duel zip entry. Lined interior. Interior zip pocket and slip pocket.